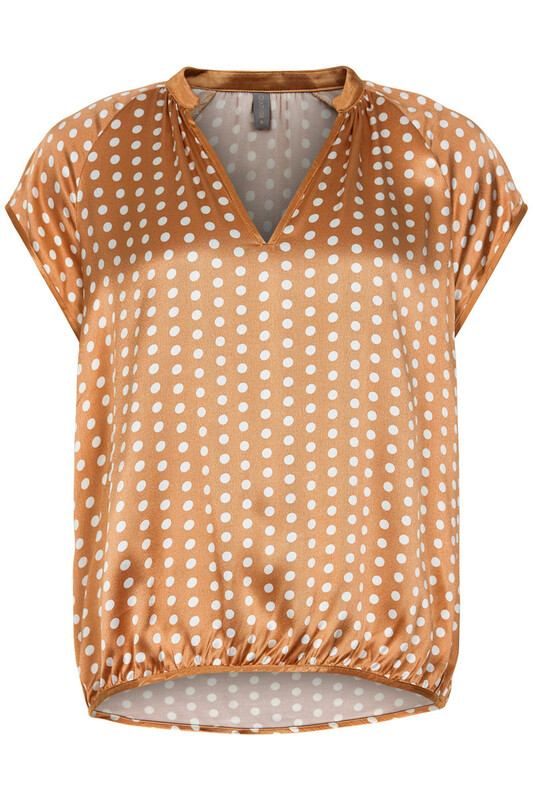 Really nice and cap-sleeved blouse with beautiful and very modish dot print. The short sleeved blouse is really comfortable and fits any occasion. It has a regular fit, v-neckline and a longer back-piece in length, providing many cool style options for the blouse. It is unquestionably a comfy, stylish and very trendy cap sleeve blouse, which is perfect for every event in your calendar.